So way back in September I found out the original brake light switch on the car was bad. So I replaced it with a new one. Then this last weekend my wife and I were filling tires and checking lights and found the brake lights were not working again. I quickly tracked the problem back to the switch. Evidently the new switch suffered some infant mortality. Dammit. So I bought another switch. As I recall the old one is from Crown. 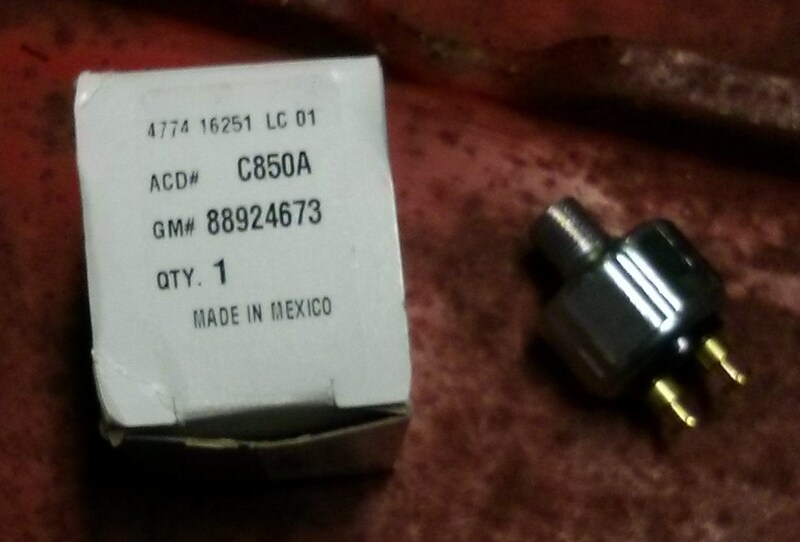 For the new one I purchased an AC Delco part. The switches are visibly different so hopefully the new one works better. It only took a minute to swap them out and now the brake lights work again. I probably could have gone back to the vendor and returned the switch as defective but it was only $6 and it is not worth the hassle. So instead I decided to do an autopsy on it. After thinking about it a bit this is what I came up with to crack it open. 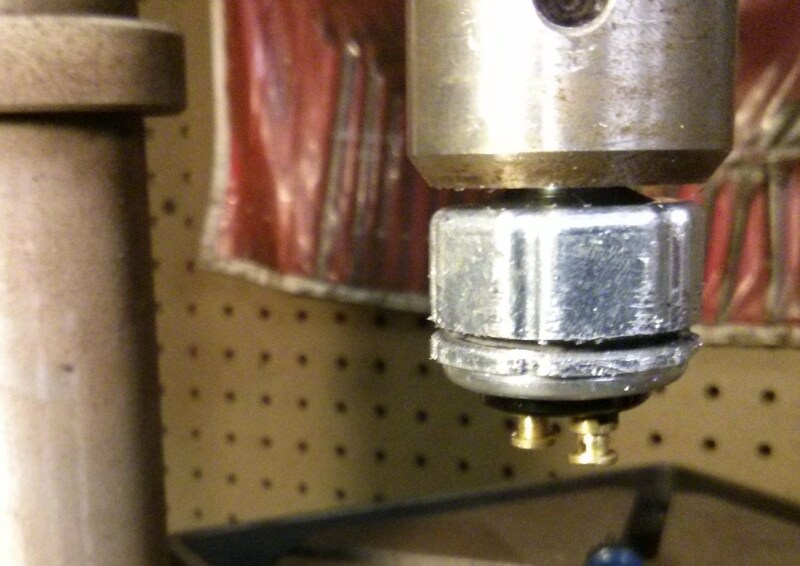 I chucked to switch into the drill press and used a hacksaw on it. Worked great. So the failure is pretty obvious. The whole switch was full of brake fluid. I am using DOT 5 silicone brake fluid which I can only assume is not going to be very good at conducting electricity. So once the silicone got into the contacts that is all she wrote. There is much discussion on the internet about brake switches failing faster with silicone brake fluid. Well, hard to tell what triggered this but if another one fails I might have to consider another solution. The switch housing holds all the parts. It has a flat area around the hole that the seal is supposed to seal against. The rubber disc is dome-shaped. Brake pressure pushes against this. The disc is also supposed to seal the switch. Or not in this case. This copper disk makes contact between the terminals of the switch. It also spreads the pressure of the spring over the disc. 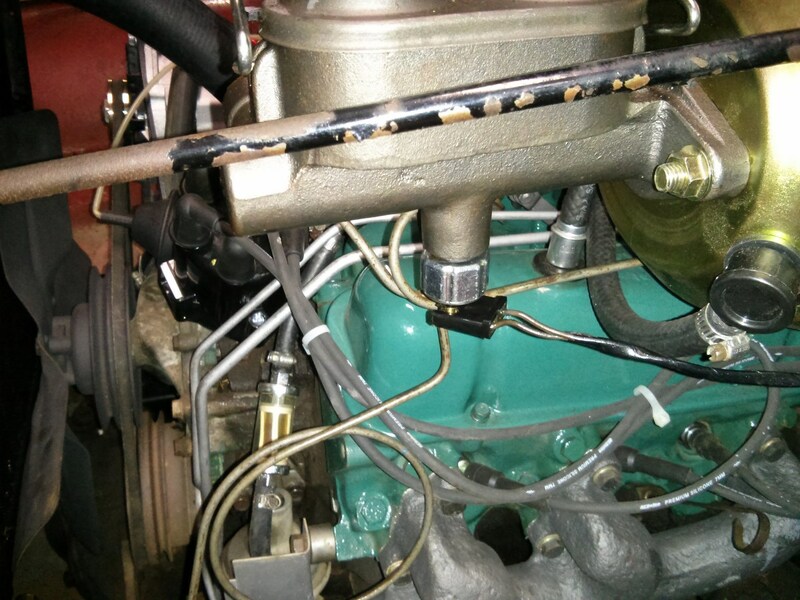 The spring pushes back against the brake pressure to disconnect the switch when the brake is released. The black plastic holds the contacts. It also has a raised ring around the outside that is supposed to push the disc tight up against the housing. So that is that. I am out $6 but I learned how a pressure switch works so that is something. I failed to take any pictures but I also revisited the instrument cluster voltage regulator. The last time I fought with this I was surprised that the new regulator only puts out 5 volts. I contacted the vendor (Don at PartsDude4x4). He got right back to me and was very helpful. 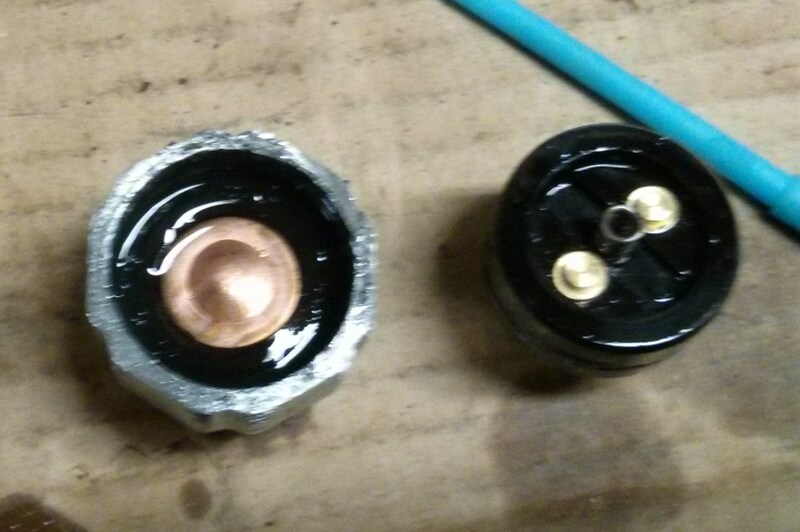 It seems that the regulator is supposed to put out 5V. So whatever was going on before the new regulator is working just fine. So last night I plugged it back in and it seems to be working just fine. I must have screwed something up. So now I have gauges, stoplights, and no major problems. Time to quit.